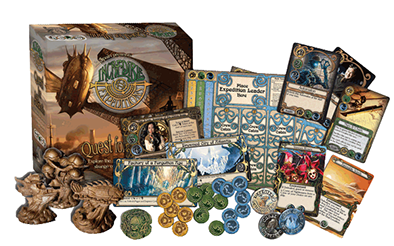 Pre-order reservations for the Grand Tour Edition of Incredible Expeditions: Quest for Atlantis are gone! A limited number of copies of the exquisite Grand Tour Edition will only be available at special events, and will not be made available through retail stores. All components of the Grand Tour Edition have been completed and we are awaiting the final printing of the special silver foil cards before final assembly of the games. Emerald City Comic Con 2015! Incredible Expeditions will be in the Exhibition Hall at Emerald City Comic Con at the Washington State Convention March 27 through 29th. Step into our submarine booth and play a demo within the hold of Vice Admiral Terjiver's squidmersible. Get your copy of the game signed by the designer. 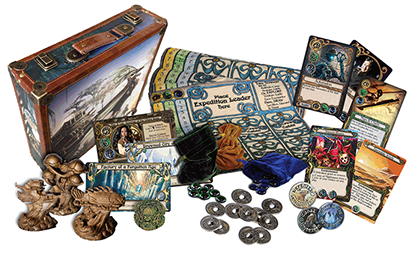 Take a turn at the Machine of Fate for the chance to win an exclusive Grand Tour Edition copy of the Incredible Expeditions. Incredible Expeditions: Quest for Atlantis goes on sale February 5th! Incredible Expeditions: Quest for Atlantis will be available for sale on February 5th. Order it through your Friendly Local Game Store or directly from the publisher on Amazon.